Fitz and Floyd was founded by brothers Pat Fitzpatrick and Bob Floyd in Dallas, Texas in 1960. The company started out as an import company, but then moved into designing ceramic giftware as well. They moved into tabletop products and accessories in the late 1960s. The collectibles like teapots, cookie jars and ornaments were introduced in the 1990’s. Most collectors of F&F will recognize a piece from across a room. They are very distinctive and full of imagination and colour. 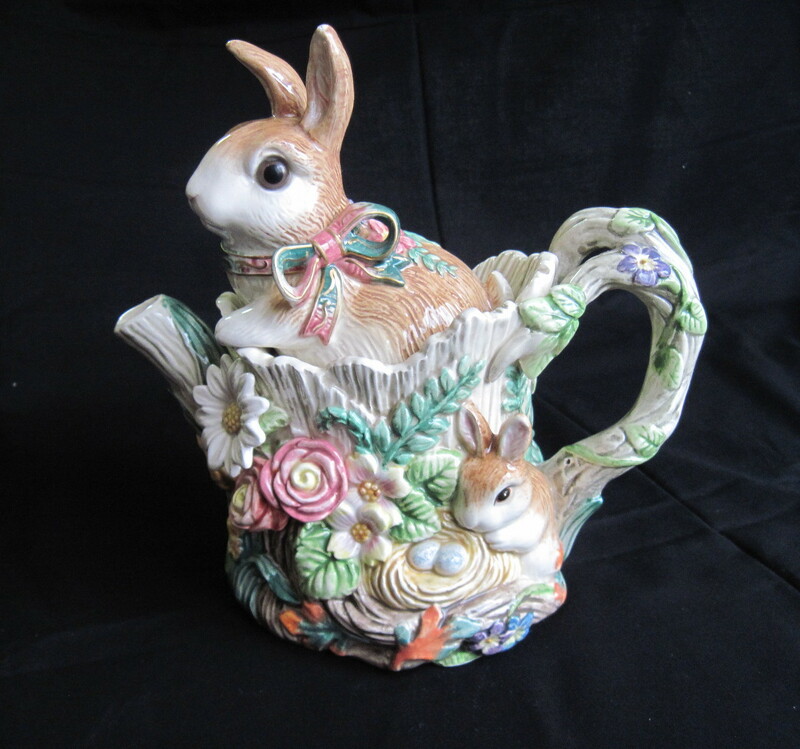 This is a nice whimsical teapot, adorned with a lid shaped like a rabbit, with a decidedly Easter theme on the pot. For sale at my booth soon at the Almonte Antique Market, 26 Mill Street, Almonte ON. Just 30 minutes west of the city of Ottawa. Please note: This teapot has now found a new home!!! !